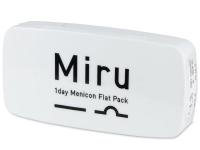 Miru 1 Day are daily disposable lenses supplied in thin blister packs. They are equipped with CentraForm technology that helps reduce eye irritation and decrease friction when blinking. They are ideal for travel and sports. 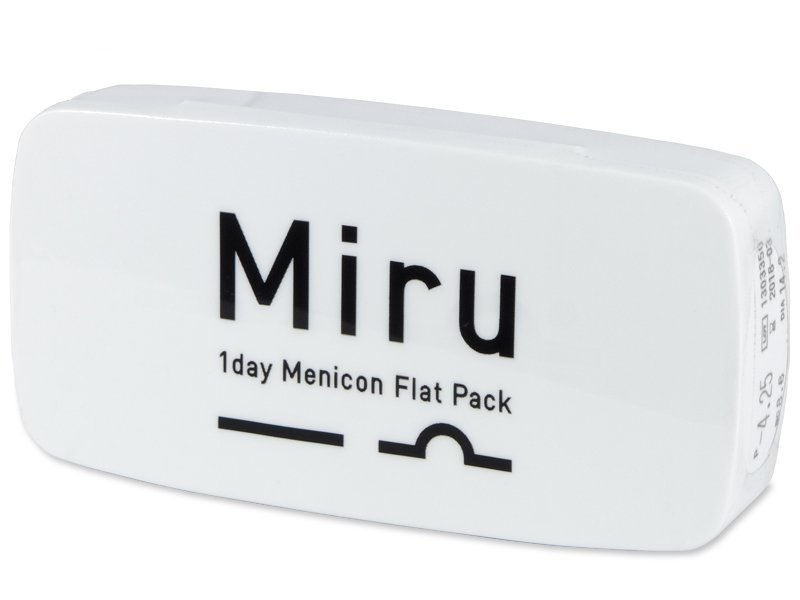 Miru 1 Day are daily disposable contact lenses made from advanced Hioxifilcon A material. The lenses are packaged in special flat packs that are approximately 1 mm thick, the world's thinnest contact lens packaging. One strip contains three lenses and is easily foldable, which makes them especially suitable for travel or sports. 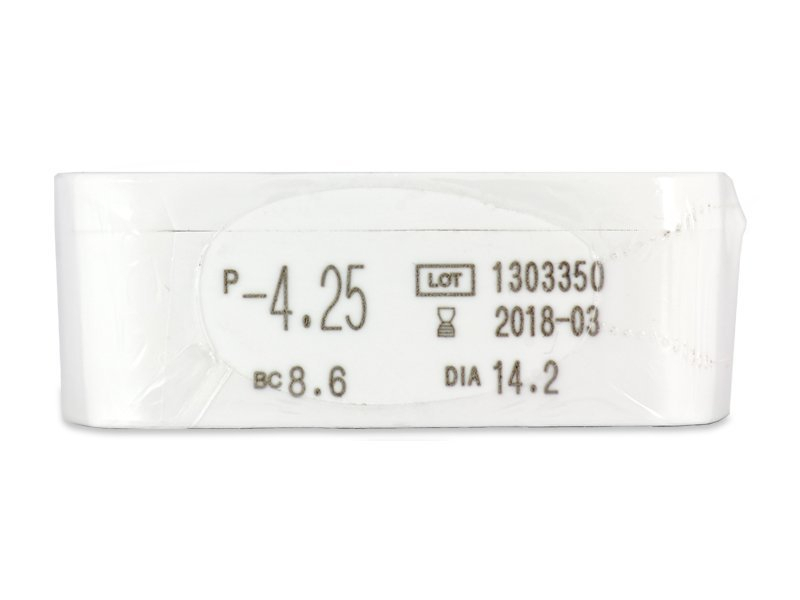 This easy-opening packaging has been developed to reduce the risk of contamination of the lens. After opening, the outer surface of the lens is always facing up, ready to be inserted. 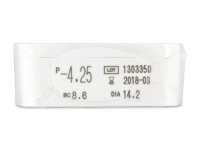 Miru 1 Day contact lenses are made from Hioxifilcon A (HEMA – GMA), a polymer with numerous free hydroxyl radicals that naturally attract and bond with water molecules. This provides enhanced moisture and comfort. Manufacturer Menicon produces Miru 1 Day contact lenses using the patented CentraForm™ technology. The CentraForm™ process results in a smooth edge profile that helps reduce eye irritation and decrease friction during blinking. I use these and find them absolutely marvellous. Can't tell I am wearing them, apart from the good sight. The ultra thin pack is original and definitely a good idea. I'm surprised though that they only go up to a 4 most others appear to go to 10. I wonder if that is a packaging issue. Hi, Flo, We're happy you're enjoying our product! Love them. the process of putting them on is less prone to contamination. the flat pack is amazing to save space. and it was delivered very quickly. 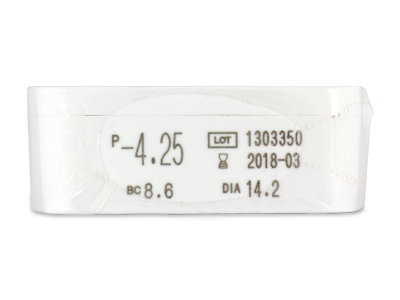 Good lenses - i tried them from my optician, but am happy to find them online. Packaging couldn't be any smaller or easier to travel with. Simply astonishing packaging. I didn't think they could be made any smaller. Very pleased with the lenses, also. Hi, Cherie, A diameter difference of 0.1 shouldn't be too bi of an issue. However, we still recommend consulting with your optician.